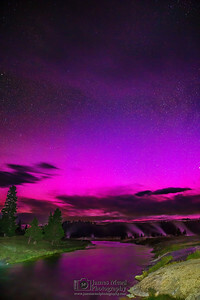 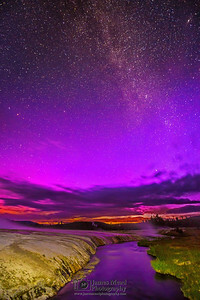 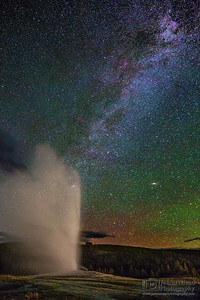 Old Faithful erupts as the Milky Way spiral arm rises into the sky while the Aurora Borealis begins to show. 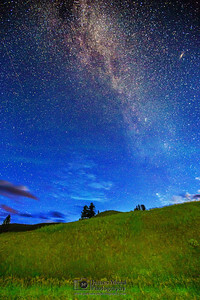 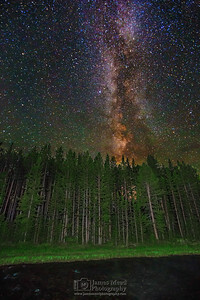 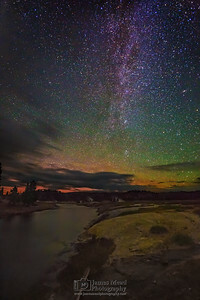 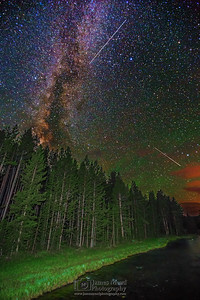 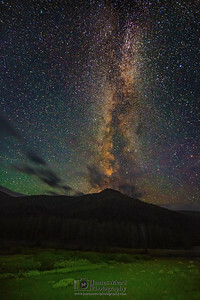 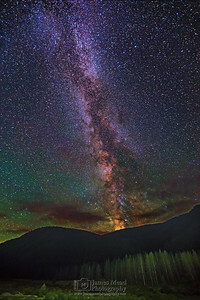 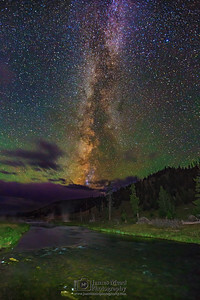 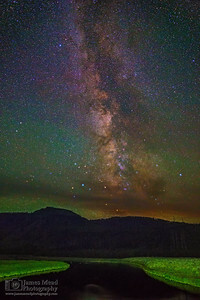 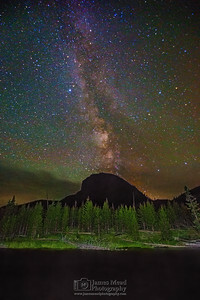 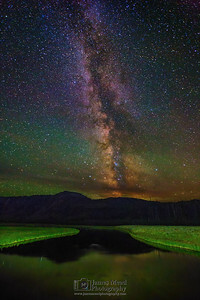 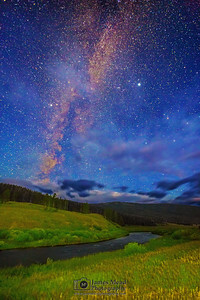 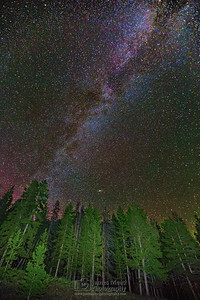 The Milky Way Core rises high into the sky above Nez Perce Creek in Yellowstone National Park as Perseid Meteors shoot across the sky. 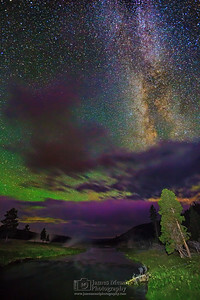 The Aurora Borealis reflects off the waters of the Firehole River while the Andromeda Galaxy rises high in the sky as the Midway Geyser Basin spots steam and water in Yellowstone National Park. 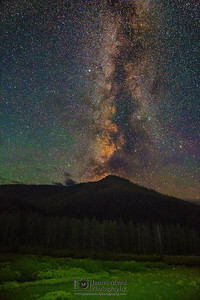 The Milky Way is peaking out from behind the clouds. 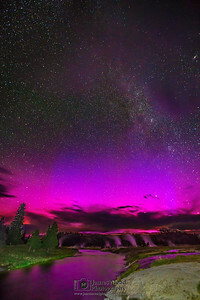 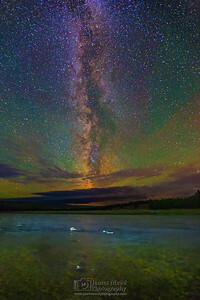 The Aurora Borealis reflects off the waters of Iron Spring Creek while the Andromeda Galaxy and Milky Way spiral arm rises high in the sky in Upper Geyser Basin in Yellowstone National Park while Cliff Geyser erupts in the background. 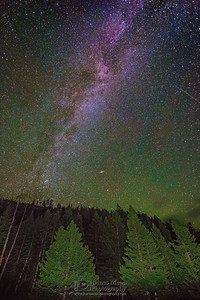 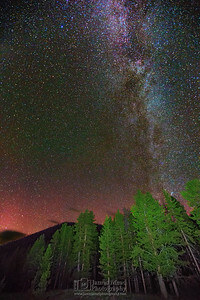 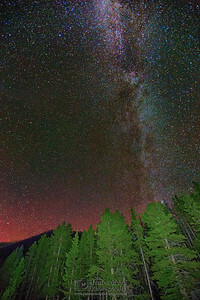 The spiral arm of the Milky Way spiral arm and the Andromeda Galaxy rise into the sky above Lodgepole Pines while a meteor streaks across the sky in Yellowstone National Park.